This wheat and cereal rye cross brings together the best from both species. 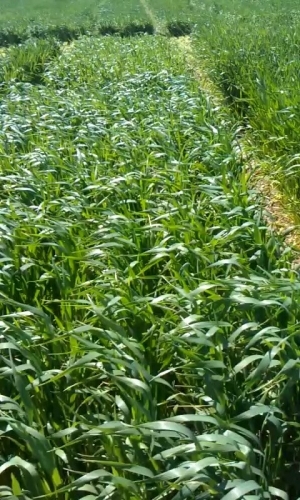 Leafy, heavy tillering, high yielding and cold tolerance put triticale at the top of the winter annual list. Its cold tolerance makes for a flexible planting window and keeps it productive during the early and late winter periods. Harvest at boot stage to maintain quality forage.